NOTE: Rice & Rose attorney Jim Rose was part of the News Journal reader panel. 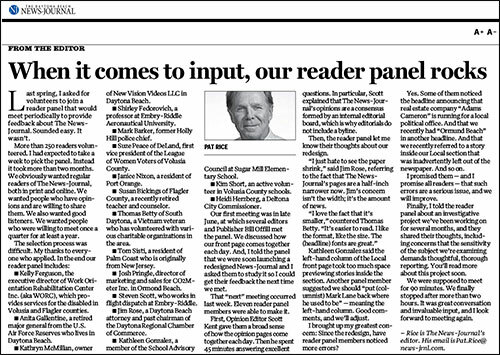 Last spring, I (Editor Pat Rice) asked for volunteers to join a reader panel that would meet periodically to provide feedback about The News Journal. Sounded easy. It wasn't. More than 250 readers volunteered. I had expected to take a week to pick the panel. Instead it took more than two months. We obviously wanted regular readers of The News Journal, both in print and online. We wanted people who have opinions and are willing to share them. We also wanted good listeners. who were willing to meet once a quarter for at least a year. The selection process was difficult. My thanks to everyone who applied. 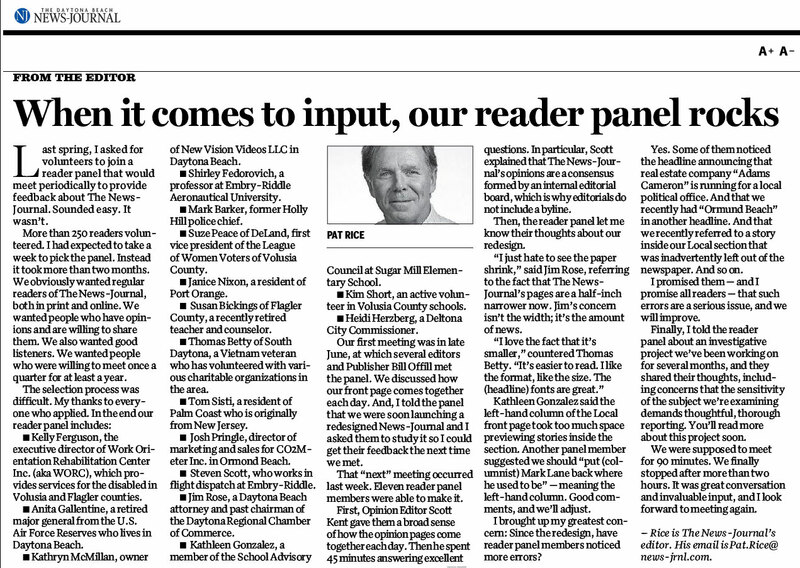 In the end our reader panel includes: Click here to view larger version of article.